A passion for Beautiful Things: Tea with the Queen! Her Majesty, Queen Elizabeth II (Elizabeth Alexandra Mary; born 21 April 1926) is the constitutional monarch of 16 sovereign states known as the Commonwealth realms, and head of the 54-member Commonwealth of Nations. She is also head of state of the Crown Dependencies and British Overseas Territories. 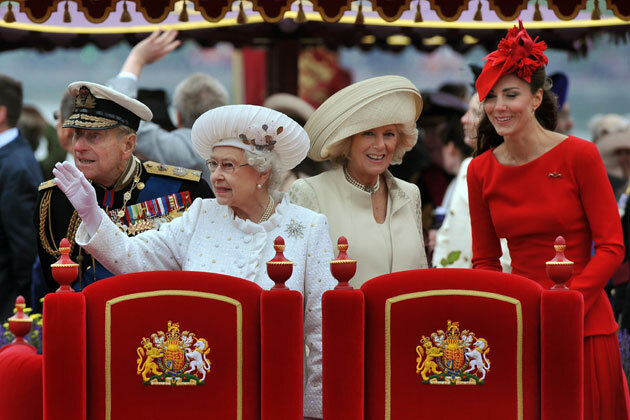 Clearly her Diamond Jubilee being celebrated this year across the pond is a BIG DEAL. DO YOU think the outfit is appropriate? L O V E that blue dress! I really adore the red shoes! I love it.